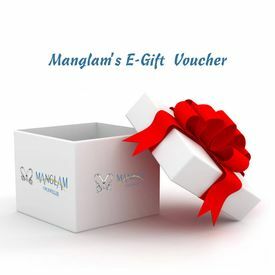 Manglam's E - Gift Voucher exclusively on GOSF for redemption on any diamond jewellery. Manglam's E - Gift Voucher exclusively on GOSF for redemption on any diamond jewellery. Happy shopping! Stay Stylish, Look Flawless!